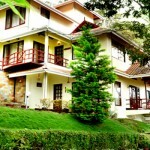 Mountain Club Resort Munnar is a luxury 5 star hotel by the EVM Group, one of Kerala’s leading business houses. 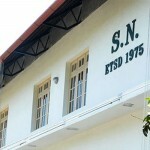 Situated in a wide lush green landscape, flanked by lofty hills. 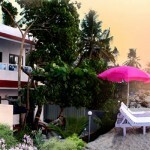 It is a perfect option to enjoy a laid back vacation in the lap of nature. It is the only resort here which offers 50 exclusive cottages built in the traditional British architectural style with every cottages having a cozy fireplace, sit out living room and balcony. There are various creative, recreational and fun activity centers available to make your experience worth remembering. Mountain Club Munnar offers premium accommodation options in two type of cottages – one bedroom and two bedrooms with one bedroom ones can accommodate upto 2 and two bedroom ones can accommodate upto 4 persons. There are 50 cottages at Mountain Club Resort that include 23 Honeymoon Villas (one bedroom cottages) and 27 Family Villas (2 bedroom cottages). 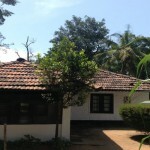 All cottages have attractive interiors, and modern amenities. The bedrooms opens up to a balcony letting a glimpse of nature into the room. There are no room charges for children 5 years old and younger who occupy the same room as their parents or guardians, using existing bedding. No pets and no service animals are allowed at this property. Room Amenities: Room Amenities include Premium television channel(s), Fireplace, Premium bedding, Separate sitting area, Balcony, Makeup/shaving mirror, Shower only, Hair dryer (on request), mini bar, tea/ coffee maker, mineral water, fruit basket, refrigerator, iron & ironing board (chargeable), sofa unit, dining table, daily newspaper (on request), safe deposit locker. The attached washrooms have hot and cold running water supply, and essential bathroom toiletries. 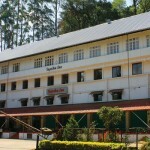 Facilities: Mountain Club Munnar offers facilities such as Conference Hall, Health Club, Doctors on call, Site seeing trip, library, travel desk, laundry service, bonfire arrangements, internet connectivity, car rental service, parking facility, assistance to physically challenged persons, Airport / railway station transfers (chargeable),Banquet facilities, Wi-Fi Internet Connectivity. Recreational Facilities: Outdoor Activities, Ayurveda Center, Yoga Classes, Swimming Pool with sun beds, Amphitheatre, State-of-the-Art Health Club, Running track/path nearby, Spa. Adventure Facilities: Polaris ATV Ride, Camp fire, Trekking experience, Paragliding. Dining in Mountain Club Resort: Hot Hill is a Multi-cuisine Restaurant housed in Mountain Club that offers elaborate la carte and buffet spreads for breakfast, lunch and dinner. 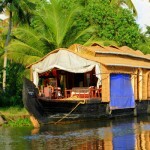 Also serves the exotic blend of Chinese, Continental, Italian, Mughal and Kerala cuisines in a warm ambiance. This exclusive multi-cuisine specialty restaurant offers all kinds of culinary delights along with a service par excellence. 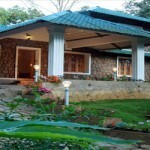 Mountain Club Resort is situated at Chinnakanal in Munnar, Kerala. 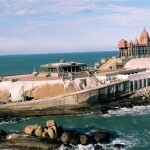 Situated in the mountains, it is close to Mount Carmel Church, Carmal Church, and St. Thomas Marthoma at about 1-3 km away. 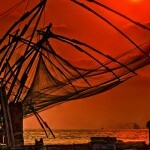 The nearest major airport / railhead from the resort is located in Cochin, approximately 150 km away. The bus stand is short distance away from the resort. Nearby Tourist Attractions to visit from Mountain CLub Munnar Hotel : Eravikulam National Park, Anamudi Peak, Devikulam (7 km), Pallivasal (8 km), Mattupetty Lake and Dam (13 km), Rajamala (15 km), Echo Point (15 km) and Marayoor (40 km).